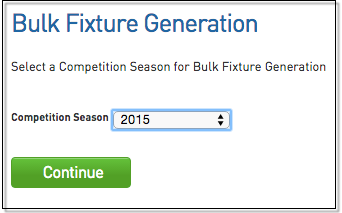 The Bulk Fixture Generation menu will allow you to create/setup your fixtures for your competitions on bulk by a season. 1. Hover over Competitions and click Bulk Fixture Generation. 2. Select which Competition Season you’d like to generate fixtures for. 3. Once you’ve selected the Competition Season it will list all available competitions for that season with no current fixture. 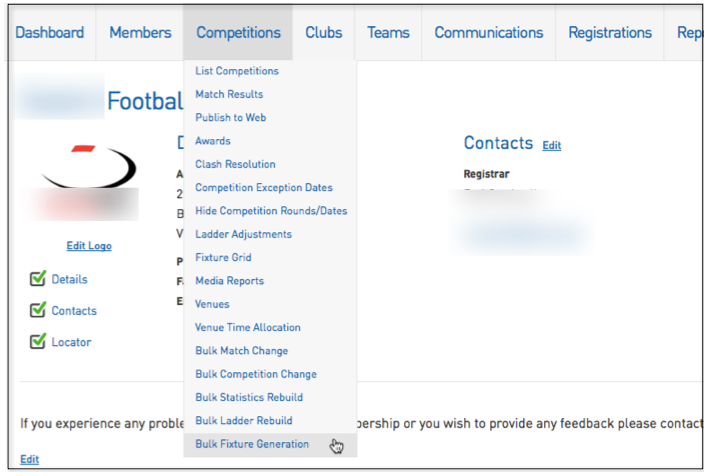 To then create the fixture for those competitions, click the Generate Fixtures button. 4. Once the below screen appears, click on the team name. 5. The fixture will appear in the next screen.